When a child regularly feels down and does not exhibit an interest in playing or going to school, it may already be signs of Chronic Fatigue Syndrome (CFS). This is a complex disorder characterized by profound fatigue and is not improved by bed rest. 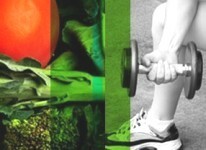 It may even be worsened by strenuous physical activities or excessive mental exertion. Children with Chronic Fatigue Syndrome usually functioned at a much lower level of strength even before the onset of the illness. A child suffering from CFS may also show signs of general weakness, muscle pain, impaired memory or poor mental concentration, insomnia, and post-exertion fatigue that lasts for more than 24 hours. To better understand this mysterious illness that afflicts thousands if not millions of children around the world, a team of researchers conducted a study to determine the connection between this specific illness to stress and emotional abuse. According to the U.S. Centers for Disease Control (CDC), childhood trauma increases the child or adults' risk of Chronic Fatigue Syndrome by three to eightfold. A separate study based on the data from the Swedish Twin Registry shows that stress is a triggering factor for the said fatigue syndrome. 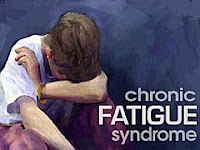 It also shows that emotional instability is a significant Chronic Fatigue Syndrome risk factor, although genetic and family factors also determine whether this personality trait leads to excessive and regular fatigue. Researchers from CDC support the hypothesis that CFS represents a disorder of adaptation that is promoted by early environmental factors such as lack of nutrition and emotional support - which, later on, leads to failure to adequately respond to physical, mental, and emotional challenges. In their separate study, researchers Karolinska Institute have found that stress is a significant risk factor for chronic fatigue-like illness, the effect of which may be buffered by genetic influences. Emotional instability recorded 25 years earlier among research subjects has been associated with chronic fatigue through genetic mechanisms contributing to both personality style and expression of the disorder. To study was culled from a community-based sample of more than 56,000 residents of Wichita, Kansas. At the time of the study, they had identified 43 people with ongoing CFS. For the study, they compared these people to 60 matched people without fatigue. A key finding was that severe childhood trauma was linked to a higher risk of CFS. There was an eightfold higher risk of CFS with childhood sexual abuse, a 5.9-fold higher risk of CFS with childhood physical neglect, a 4.6-fold higher risk of Chronic Fatigue Syndrome with childhood emotional neglect, a 4.3-fold higher risk of CFS with childhood physical abuse and a 2.9 fold higher risk of CFS with childhood emotional abuse. These studies also suggest that CFS is part of a spectrum of disorders that are associated with childhood adversity. In adulthood, these disorders frequently manifest or worsen in relation to acute stress or challenge. These disorders might reflect the brain's inability to adapt or compensate in response to challenge, leading toward maladaptive responses and ultimately disease. Other studies made on more than 19,000 twins born in Sweden revealed that emotionally instability was linked to a 72% higher risk of CFS symptoms. Emotional instability is a personality trait and tends to result in low self-esteem and feelings of anxiety, depression, and guilt. In conclusion, emotional instability is a serious risk factor for CFS, whether a person with this personality trait actually gets CFS depends on unknown genetic and family factors. Thus, emotional instability is an indirect risk factor for CFS, while stress is a direct risk factor.